Karlsruhe, Germany in 1899 was the scene of the origin of the German Shepherd dog developed Captain Max Von Stephanitz and others. The result of mixing old herding breeds and farm dogs, the German Shepherd was first shown in America in 1907. The theme of a boy and his dog in such movies and television shows as Rin Tin Tin and Strongheart made this breed of dog quite popular. While most people may know the German Shepherd as the world's leading dog for police work, guarding assignments and military work; they are much more dependable than just a 40 hour work week animal. The AKC registration stats show that this breed is consistently one of the most popular as a herder, show competitor and a loving family member. These dogs are approachable, fearless and direct. Their beautiful bodies are strong and muscular with a possible variety of colors. However, the most common coat color is black and tan. If you are looking a fun-loving and energetic canine family member to add to your household, you could not go wrong with the choice of a German Shepherd. Once a relationship with has been established; this dog loves children. We understand that it takes time when searching for the right puppy or dog, our recommendation is to evaluate your everyday needs of a pet then make your decision based on the listings of ads we provide you. Start your search today for a new puppy or dog! Welcome to K9Stud.com! 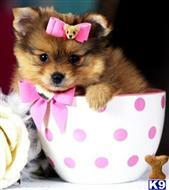 We are the top online resource when you are in the market to sell or buy purebred puppies. K9Stud offers people that love dogs a comprehensive catalog of any breed of dog that they are trying to find. We have a wide assortment of various dog breeds as well as origins. 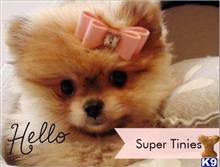 These range from the tiniest teacup puppies to dogs large enough to put their front paws on your shoulders. In addition, K9Stud also offers hypoallergenic dogs as well as rescue dogs to be adopted by loving owners. Once you have decided to add a precious dog to your family, the next decision that you need to make is whether you want your new dog to be a puppy or an adult. If you happen to be an active person and love a high-energy dog, a puppy is a great idea. Puppies are so cute and so much fun that they can capture your heart quite easily. Not only do you have a new canine baby to love, but you also get to take part in getting them off to a great start in life through their training and development. Just remember that there are other aspects besides being cute and loveable when you take on the responsibility of caring for a puppy. You cannot leave a puppy alone for very long at a time. They also need lots of socialization so that they will be comfortable around other people as well as plenty of exercise so that they can use up some of the excess energy that young dogs have. As the owner of a puppy, you will need to be on standby for their frequent trips outside as well as their numerous meals throughout the day. It is vital that you make behavioral and obedience training available to your puppy so that they will not cultivate negative habits like digging or chewing up things. On the other hand, puppies are ideal for those dog owners that already have pets in their homes. These owners will want a pet that gets along well with their other pets. There are many dog breeds that fit this bill perfectly. Just remember that a puppy will need lots of patience as well as your time, but your new puppy will reward you many times over for your love and attention. An older dog also requires time but probably not as much patience because the hard parts of owning a pet have usually been taken care of by someone else. There will be less training involved and your new canine family member will come to you with the main need of being loved and cared for. Whether you decide to invite a puppy or an older dog into your home and your heart, it is not a decision that you will ever regret.